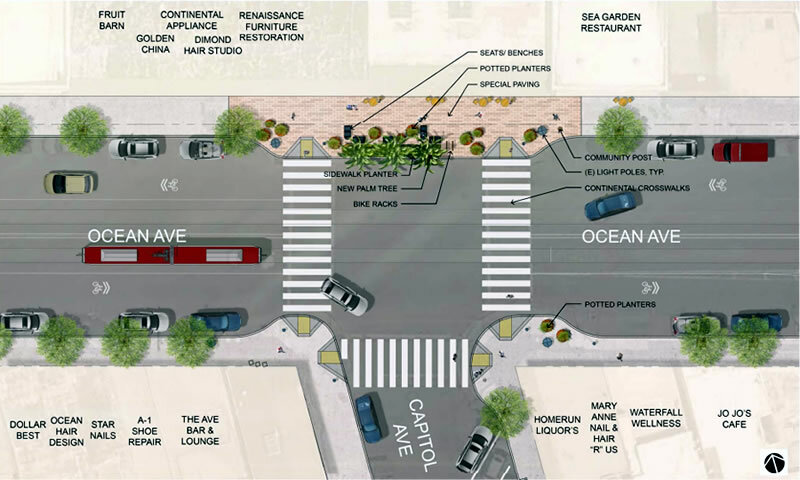 The first phase of the Ocean Avenue Corridor Design project, which includes new plantings and streetscape improvements – such as new “activity areas” with seats, planters and bike racks – along Ocean, between Manor Drive and Phelan Avenue, is slated to kick off early this year, funded with dollars allocated from the Road Repaving and Streets Safety Bond. The final designs for the second phase of the project, a longer term vision for both Ocean and Geneva Avenues from Phelan over I-280 to San Jose Avenue – which includes a redesign of the rather ugly Ocean/Phelan/Geneva intersection and CCSF pedestrian bridge; improved access and connections to the Balboa Park BART Station; and the potential for dedicated bike lanes and a number of new plazas – will be presented to the community next week. Does dedicated bike lanes mean protected? If not it’s a waste especially in an area with thousands of high school and college students. 4 hair and/or nail places on this corner… When is the mix of retail going to be overhauled? Any news about the new plaza that’s planned between City College and the affordable housing that is now finishing construction? It would be on the very left side of this map. 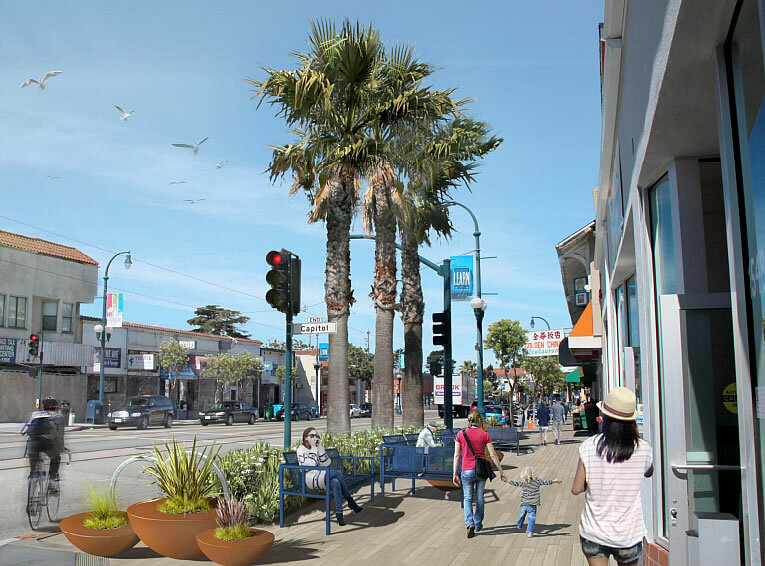 JK Dineen just wrote an article in yesterdays Chronic about how Ocean Ave is developing. The businesses in the lower left of the second diagram (a1 shoe repair,Ave bar etc.) are slated to be torn down for a multistory residential- above-retail development. Sad for those businesses but good for the street. There seem to be plenty of other open spaces on the street if they want to relocate nearby, including a sketchy “spa” that I think is a massage parlor a la the Tenderloin. As a purveyor of most of San Francisco’s neighborhood dives, I hope The Ave can relocate close by. If it goes under and disappears, all we’ll have left is Randy’s Place. The $1 store, etc. that may go will not be missed. Glad that the city is finally paying attention to the neighborhood, however, the real blight and missed opportunity is at the corner of Geneva and San Jose Ave. There should be high-rise housing atop Balboa station and the mess at street-level should be looked at pronto (The M lets people off to waking aimlessly across a busy street — unsafe for people walking and cars). I considered buying a house in Westwood Park and Ingleside. Clearly a lot of potential. In the end the weather worked pretty strong against. I think you mean Oceanview – not even sure there is a Lakeview. I have never felt that Ocean Ave is dangerous, other than from jaywalkers and crazy drivers. The only really unsavory types seem to be coming out of the 3-4 pot dispensaries on the street. I understand that Oceanview on the south side used to be very sketchy, but it seems to be more like the Excelsior now – lots of Asian families moving in, if the foot traffic on Ocean is any indication. I think it gets worse as you go over the top of the hill and down the other side. It maybe Oceanview on the maps but that area has always been called “Lakeview” by natives . Sorry, you’re right. 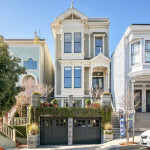 Oceanview is further south, south of Lakeview Avenue and over the top of the hill. I always thought of the area south of Ocean up the hill as Ingleside, though apparently that is interchangeable with Lakeview. Learn something new every day! Why must the city insist on putting Palms everywhere. They look ridiculous in the fog. Hey: So we moved to area about three years ago—three block south of the Whole Foods on Ocean Ave. The turnaround in that time has been pretty remarkable. Ocean Ave went from no foot traffic and sketchy to pretty busy and seemingly safe until 9pm or so. Per capita crime is way, way, below what people choose to live with in the Mission, and it’s been that way for years. The traffic on Ocean can be a bummer at commute times, but what isn’t? The new development is really breathing life into the area. All we see moving in are young families buying their first homes. I’ve even spotted people wearing Google Glass on actual Lakeview Ave. Now we just need a few restaurants where the parents can park their strollers and throw back some bottomless Mimosas on a Sunday. If you want to see the difference between development and no development, park on Ocean where there is Whole Foods on one side and McDonald’s on the other side of the street. Sit there for 1/2 hour and watch the customers going into each shop. I love development.